The pain and distress that comes with being declined a mobile phone contract is palpable. In fact, it negatively impacts a person’s self esteem. For many years now, citizens with bad credit across the UK have had to contend with one rejection after the other every time they applied for approval of mobile phone plan. This imbalance and the fact that people with a poor credit rating were treated like second class citizens is what prompted the establishment of Port of Phones. We continue to scale the ladders and spread our wings across the UK with the sole aim of ensuring that we meet the needs of all people grappling with a less than stellar credit score. From inception, we have been able to assist thousands of UK residents get snag a mobile phone contract deal their credit score notwithstanding. With our affordable guaranteed mobile phone plans, we have been able to put a smile on the faces of thousands of individuals with the burden of a poor credit score. When you come to us looking for a mobile phone contract, we can promise you quality services and affordable mobile phone plans. We promise to treat you with utmost respect and not to discriminate against you on the basis of your credit rating. We promise to fast track the approval of your application within 24 hours. We also promise to be professional in every aspect and provide you with sound advice prior to you making an application for our guaranteed mobile phone contracts. We promise to be transparent, reliable and trustworthy in all our dealings with you. We promise to offer you affordable plans that meet your needs and budgets. Lastly, we promise to be your friend and to ensure that you are as comfortable as possible with the plans that we offer you. 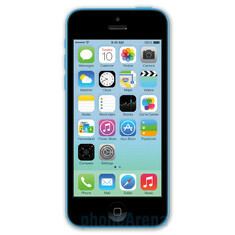 Port of Phones is a respected top tier mobile phone provider with a presence all over the UK. We pride ourselves in offering affordable guaranteed mobile phone contracts to thousands of customers with a poor credit rating across the United Kingdom. We strongly believe that one’s credit rating should never be used to deny them a mobile phone contract. In that wavelength, we have been able to design guaranteed mobile phone plans to suit the interests, tastes and preferences of our different customers from wherever they are in UK. For starters, we have been tried and tested and continue to offer top notch services to our wide range of customers. We believe in going beyond the call of duty in our attempt to offer quality services that add value to our customers. We understand that people with a less than perfect credit rating are struggling financially and that is why we always endeavor to offer affordable plans to our customers. Our customer personnel are highly qualified and treat customers with utmost respect. We also believe and ascribe to the principle of total quality management as well as the ideals of continuous improvement to ensure that our customers get nothing short of the best services when doing business. Additional information on the kind of services we offer and the kind of plans on offer can be found at http://www.phonesworld.co.ukhttp://www.phonesworld.co.uk. If you are struggling financially and grappling with bad credit and as such cannot be able to get approved for a standard mobile phone contract, we are here because of you. We do not perform credit checks or take into account a person’s credit score before approving them for our affordable guaranteed mobile phone contracts. We fast track applications and ensure that you are approved within 24 hours or 48 hours in the latest. Apply today and enjoy our top notch services!